Love the pillow! The red gingham behind it really sets it off! 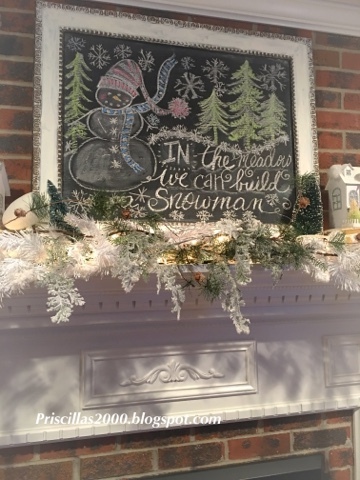 I would love to be able to do the chalkboard art. Yours always look so nice. Love that pillow! Sweet daughter you have! Perfect Winter blackboard, take care with the ice, I can't imagine driving in it. 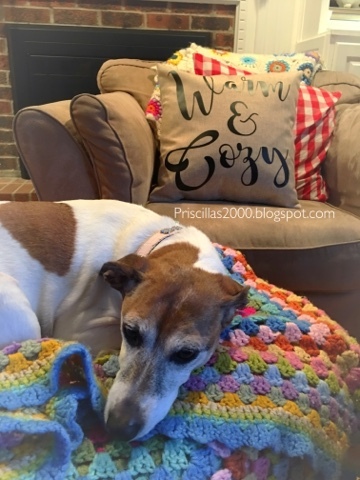 Cute Winter pillow and your dog looks warm and cozy too:). What a lovely idea . . . it is hard to come up with a January theme, but you nailed it. 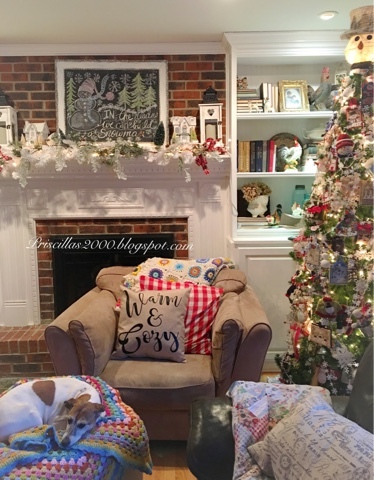 I love your snowman tree, mantel and warm & cozy pillow. Great Job!!! Your DD must have gotten her craftiness form you! 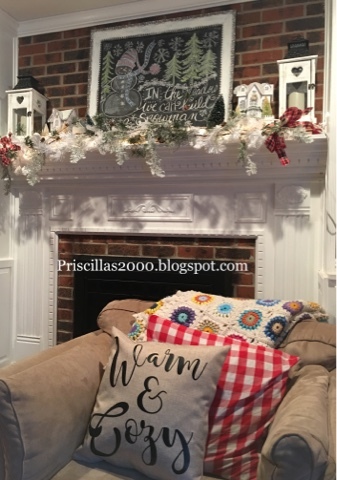 Love the mantel. I think snowmen are very appropriate in Jan. and Feb. Take care and be safe with the ice! Where did you find your flocked garland? 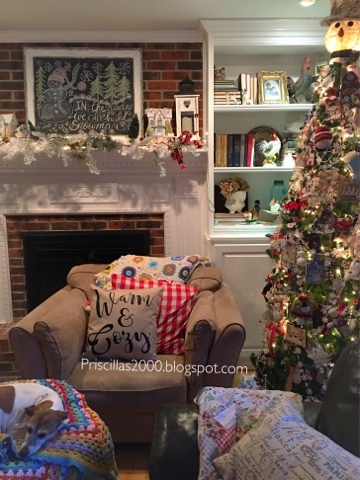 I love your mantle and all your winter decorations.